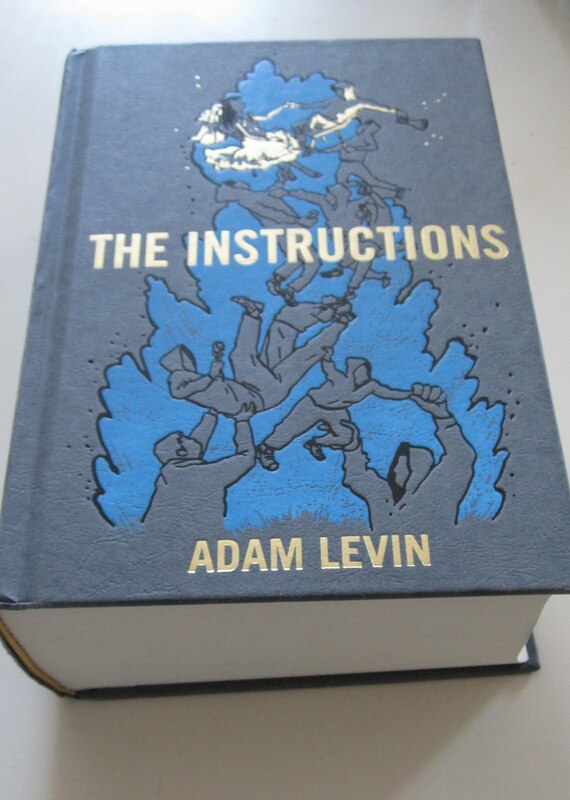 I'd like to direct you to one of the most enjoyable novels I've read in a long time: The Instructions by Adam Levin. Clocking in at over a thousand pages, The Instructions follows four days in the life of Gurion ben-Judah Maccabee, a scripture-writing 10-year-old boy who may or may not be the messiah. The Instructions is a deeply engrossing and genuinely funny novel, and I encourage everyone who follows contemporary fiction to check it out. I've written a thorough review over at about.com, which you can read at the embedded link. I'll admit that the "McSweeney's" aspect of this book made me very apprehensive; years ago I'd fallen out of touch with them and I didn't suspect I'd return. 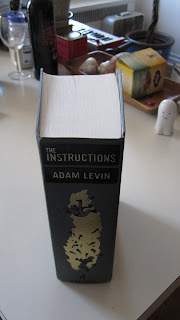 The Instructions not only is a great novel, but it's managed to rekindle my interest in McSweeney's as a publishing house. Not since William T. Vollmann's Rising Up and Rising Down have they gone so far out on a limb for something great, and it truly pays off. The design of The Instructions is outstanding as well. The book is available in two other variant colors--one is bound in blue and the other in red. The printed boards and spine remind me of old Folio Society editions (and makes me want to post my John Buchan box set soon). I was also surprised that the book held up physically for four weeks of reading on the subway... McSweeney's has done everything right with this one.